India secured the Test Championship title for a third successive year and with it the million dollar prize. 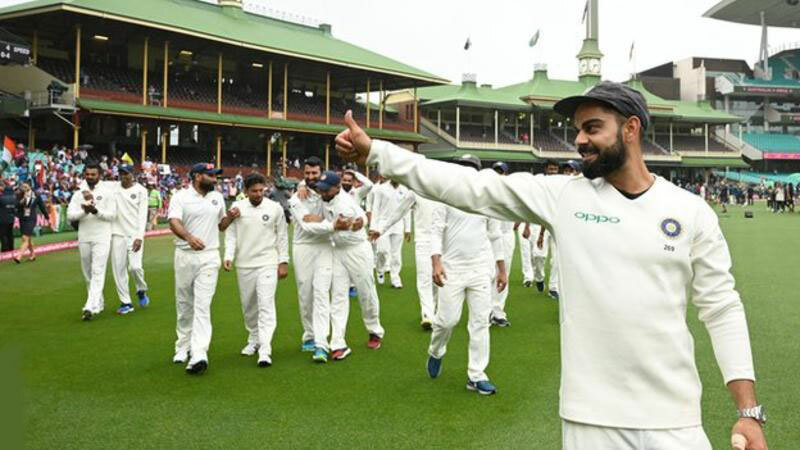 Virat Kohli's team, who in January recorded their first Test series win in Australia, finished with 116 points, eight points clear of New Zealand. South Africa were third with Australia edging England for fourth by decimal points after both finished on 104 points. The inaugural World Test Championship will begin in August. This will feature nine Test nations competing across 27 series and 71 Test matches to reach the ICC World Test Championship Final in 2021, where the first World Test champions will be crowned. India captain Virat Kohli said: "Retaining the ICC Test Championship mace once again is something we are all really proud of. "Our team has been doing well across formats but it gives us extra pleasure to come out on top of the Test rankings. We all know of the importance of Test cricket and of how only the best can prosper in the format. "Our team has a lot of depth and I am sure this will stand us in good stead once the ICC World Test Championship commences later this year. That is again something we are really looking forward to as it adds more context to Test match cricket." Australia were the maiden winners of the mace in 2002 and held it for the first eight years. India have now won it five times in total, with England claiming it for one year in 2012 and South Africa winning in three successive years from 2013.